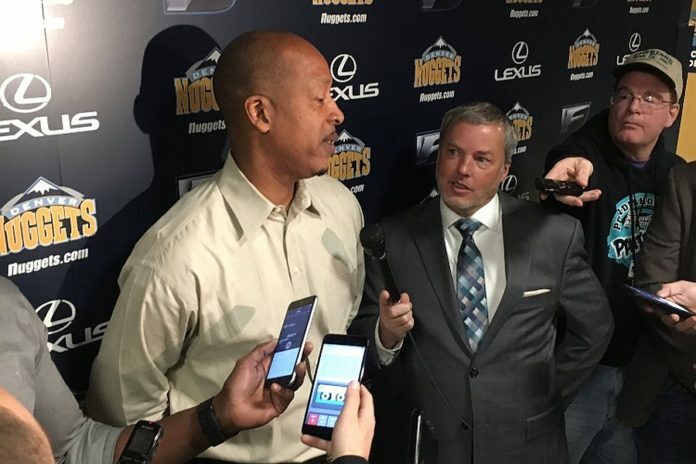 Denver Nuggets team president and governor Josh Kroenke announced on Tuesday that the team will be retiring the jersey of legendary 1980’s point guard Lafayette “Fat” Lever. Hanging Lever’s No. 12 jersey in the rafters will be part of the Nuggets’ ongoing 50th anniversary celebration. Lever became a Nuggets icon in many ways. His scoring, along with his ability to generate assists and rebounds, was very much ahead of its time. In the 80’s, Lever’s Nuggets played a high-energy, fast-tempo style of basketball similar to the style of play that has become mainstream today. While turning Denver into a house of horrors for visiting teams — due to the combination of the mile-high altitude in Denver and the team’s fast pace– Lever helped lead the Nuggets to playoff appearances in all six of his seasons with the franchise, including the Western Conference Finals in 1985 against the Los Angeles Lakers. The Nuggets’ all-around point guard averaged 17.0 points, 7.6 rebounds, 7.5 assists and 2.4 steals per game and was a triple-double machine, logging 46 triple-doubles while playing in Denver. Aside from his game-to-game accolades, Lever’s name appears all over the Nuggets record books. 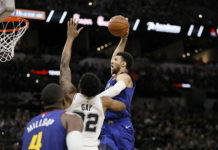 He ranks first in steals (1,167), second in assists (3,566), seventh in points (8,081), seventh in made field goals (3,304), seventh in minutes played (16,867) and eighth in rebounds (3,621). 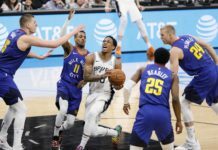 Lever’s name has been somewhat overlooked in past years; however, current head coach Michael Malone is using Lever’s milestones to mold the present day Denver Nuggets after one of their all-time greats. With today’s NBA being labeled as ‘positionless’, Lever’s style is something the present-day team can draw from. With quick shooting, lightning-fast passing, and a wide-open style of play, the 2017 Nuggets would have fit very nicely in the go-go ’80’s — a decade that was probably the best in team history. Retiring Lever’s number will serve as a reminder to now-and-future Nuggets that one of the franchise’s finest player’s example can still be used as a model to help continue to push the culture forward in Denver. 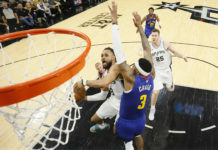 The Nuggets will likely never form an All-Star-studded super-team like the Golden State Warriors or Cleveland Cavaliers, but they can develop a new era of sustained success led by their play style and current core of players — like Lever did all those years ago. Lever’s Nuggets were never the league’s darlings, but they were a solid unit that competed every season — and they were awfully entertaining, to boot. The model set all those years ago can serve as both a learning example and a stepping stone for the franchise today, and hopefully, the future.